Wolf Prix: The daily life of an architect. Kategorien: Architektur, Gesellschaft | Tags: Wolf D. Prix | Permanentlink. With all the respect, I would like to thank you to bring some enlightment in architecture. I am amazed, how this post have been standing so long without any comment or response?! Definitely it is hard to answer such a replica in this nice discussion forum, but most of people are practised with 32 sign texts or maybe people are just afraid of You? This shall not be the case. 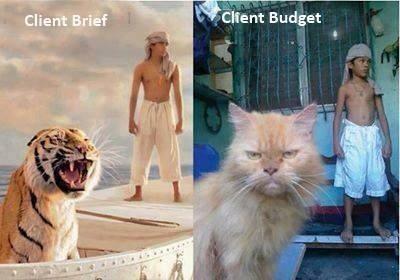 Nevertheless i have not as large experience with clients and their budgets as You have, but Would not agree that is daily life of an architect. For myself i see different way of doing architecture. In some offices it is becoming already a norm and a way of living, when architects are becoming their own investors. So this ironic model of ancient capitalist oriented architects joke seems old dated. Such a radical absurdity of 2 pictures would not be possible. In this newly presented model of making economical side of office has many advantages for example, Investors (architects) can define their own site, not leading themselves for only strict market rules, but could try to discover some other potential sites, that we see, and would take risk on reshaping them. Even if project will run out of funding, we can start our chain of architecture media, and try to publish project in as many places as possible as an interesting example of economical and spatial praxis. dear collegue and friend, I don’t want to open more secrets of this evil plan i have in this nice platform, but i hope You will keep on realise great projects!